If you or someone you love has suffered an injury because of someone else’s negligence, please contact the Law Offices of Gary Bruce today online or at 706-596-1446 to schedule a free initial consultation. We welcome clients from throughout Georgia, including Columbus and Fort Benning, as well as areas in and around Phenix City, Alabama. If you can’t visit our office in person, we can meet with you in your home or hospital room. The Law Offices of Gary Bruce has spent decades fighting on behalf of personal injury clients in the Columbus, Fort Benning and Phenix City areas. We have helped thousands of clients obtain the justice they deserve, some of whom may be your own friends, neighbors or family members. Local knowledge: Located in the heart of downtown Columbus, across from the Government Center, our office has served this community for more than 25 years. 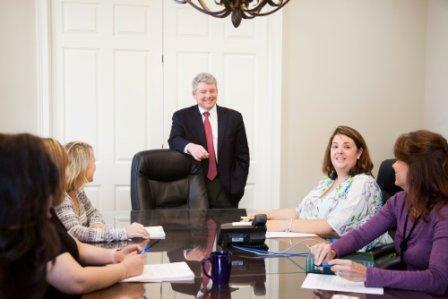 Our lawyers and staff live in Columbus and Phenix City. With such long-lasting ties to the community, our attorneys have gained a profound understanding of local laws and established an extensive network of local resources. Commitment to results: We’ll fight for every penny you deserve. We’ve built a hard-earned reputation for success in matters of personal injury, having obtained millions of dollars in combined verdicts and settlements on behalf of our clients. Collaborative approach: You’ll have access to an arsenal of legal resources and experience. You don’t get just one injury attorney, you get the entire firm’s collective knowledge, insight and skill, in addition to our associations with respected experts when necessary. Client-focused attention: We know that the key to success never lies in a one-size-fits-all approach. We take the time to investigate every nuance of your case and develop a legal strategy that is designed specifically for your situation. When you are involved in a legal crisis, you need a law firm you can trust to handle your personal injury case with precision, care and extensive knowledge. Call our team or “The Good Guys” at the Law Offices of Gary Bruce today to get the legal representation you deserve. At the Law Offices of Gary Bruce, we are honored to serve the military personnel and families of Fort Benning. We know that when service members are injured in an accident, they face unique issues that require special attention. 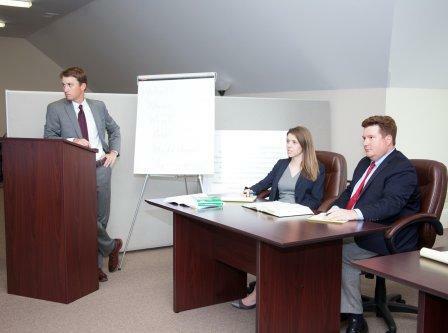 Our attorneys understand the distinct considerations that are necessary in these situations. As part of our comprehensive legal services for military families, we frequently work with Fort Benning’s Judge Advocate General office to coordinate health care benefits and protect the rights of our clients in difficult circumstances. As a member of the armed service, there are many laws that benefit the soldier and his family which must be considered. Sometimes, it is especially important when other soldiers are involved and leave the area. We have represented military families stationed all over the world when they need help. Whether you are living on Ft. Benning, Ft. Mitchell, Phenix City or in Columbus, our attorneys are eager to meet you personally to discuss your case. Evening and weekend consultations can be arranged upon request to meet the needs of your schedule. Call us today to learn how we can help you and your family. Safe Kids Columbus is part of a national children’s safety outreach program committed to keeping kids safe from preventable injuries such as traffic injuries, drawings, fires, falls and more. Trees Columbus is an environmental non-profit group that has planted more than 13,000 trees and leads educational programs to help preserve and protect Columbus’ urban tree canopy. Youth Orchestra of Greater Columbus is dedicated to providing young people in Columbus with the opportunity to learn, perform and enjoy classical music in an orchestral setting. If you’ve been injured because of the carelessness or recklessness of someone else, we want to hear your story. We understand you don’t have money to spare now. We offer free consultations and handle most cases on a contingency basis, which means you don’t pay us any fees unless we win your case. Even if you have been offered a settlement, you deserve a second opinion. There is no fee for a review of your situation at any stage of the process. To learn how the experienced personal injury attorneys at the Law Offices of Gary Bruce can help you, contact us today by completing the form on this page or calling 706-596-1446 to schedule your free case evaluation. We proudly serve Columbus and Fort Benning, Georgia; Phenix City, Alabama; and the surrounding areas.